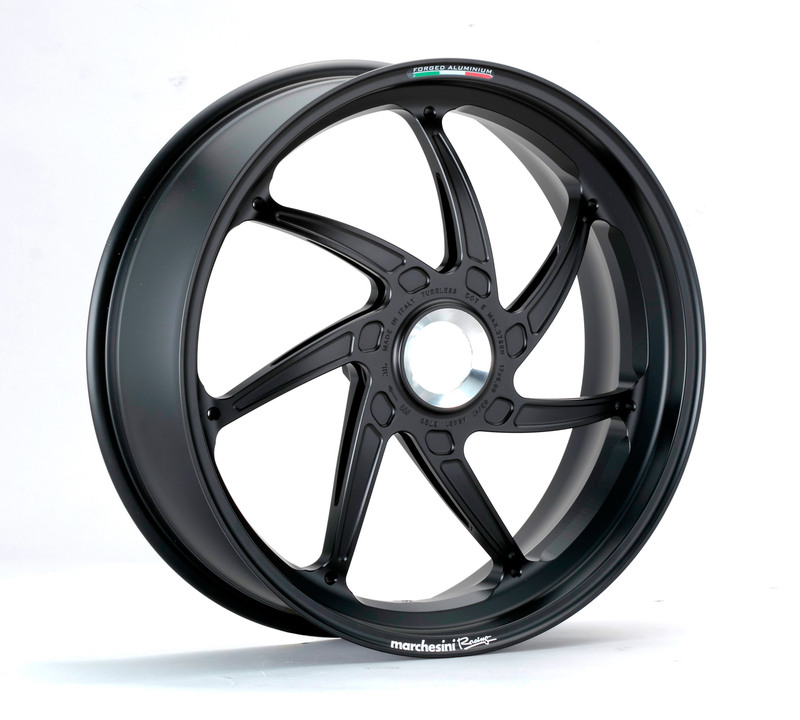 Inovaitive product in Aluminium from Marchesini, type "Genesi M7RS", 7 - spoke, 17 inch directly as MotoGP / Superbike replica. This Marchesini 7 - spoke type is used by the majority of Top-Teams in the Superbike WSBK (for example 2018 Kawasaki Factory with Sykes, Rea, Aprilia Factory with Laverty, Savadori, Ducati Factory with Davies, Melandri, Honda Ten Kate with Camier, Yamaha with Lowes, van der Mark, MV with Torres etc!). Now available for all drivers on the track. Constant research and development, the use of special high-quality aluminium alloy from aerospace, a new multidirectional forging process, numerous tests on different racetracks has led to the development of this exclusive high-quality rims. Now shorter stopping distances, sharper acceleration and faster, more precise cornering are possible. - available sizes rear: 5.50 - 6.00 x 17.